Ernest Jamison Feild, born September 8th, 1856 in Danville, Ark, was an amateur baseball player and a member of the Feild Family of baseball enthusiast. Ernest was the second son of William Hume Feild, a Tennessee-born farmer and planter. 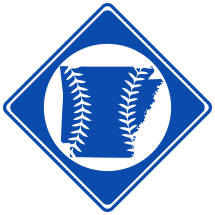 By 1869, Ernest and his brother W.P were playing baseball in Little Rock. He was only 13 when his name began appearing in Arkansas Gazette boxscores. However, unlike his brother, Ernest did not continue playing past about 1871. Ernest worked as a farmer most of his life. On March 19th, 1891, he married Jennie E. Clark and together they had a son and a daughter.